Do colleges and universities have too much power? Who is overseeing the activities of academic institutions? Have sports trumped educational value? These are just some of the questions left in the wake of the Penn State scandal. Mark Emmert, President of the NCAA acknowledged as much. Funds from the fine will go toward an endowment run by the university to detect, treat, and prevent child abuse. Is it enough? Of course not. 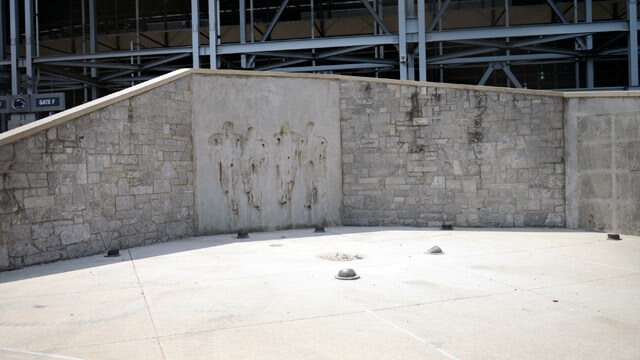 Emmert acknowledged that no price can be put on the damage victims suffered at the hands of Jerry Sandusky. …And left many victims in its path. Fallout from the scandal has already had a devastating impact on those with ties to the school…players, students, staff, alumni, and fans of Penn State University. But all pale in comparison to the lives of innocent children, changed forever by the crimes committed by Jerry Sandusky and the school’s refusal to acknowledge them. For all the talk of Nittany Lion football and how it will rebuild, let us keep one thing in mind. It was about them. And it still is. Rebuilding a football team is one thing. Rebuilding lives…another. This entry was posted in NCAA, Penn State and tagged Ed Ray, Joe Paterno, Mark Emmert.